The staff have extensive experience of organising tours, excursions and events of any type – ranging from hikes, boat trips and flights to social occasions such as kaffemiks and beer-tasting. Read more about IceCap Tours’ experiences below. 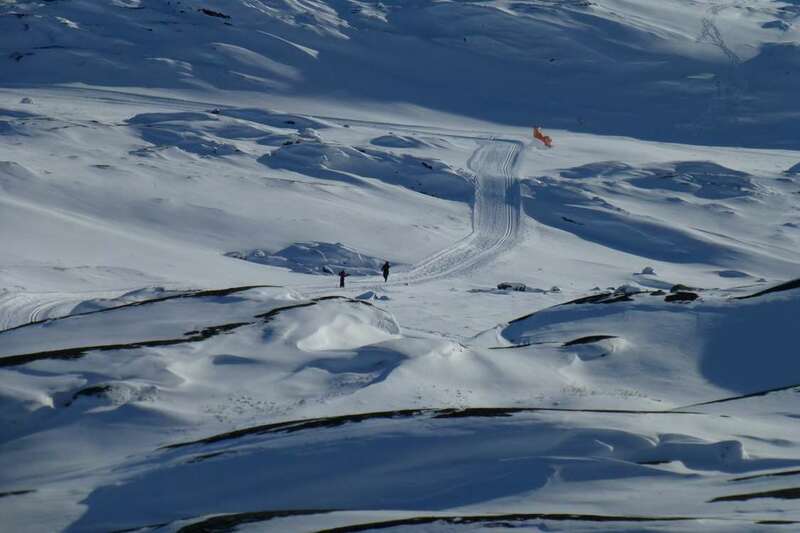 IceCap Tours offers hikes to Sermermiut, the ice fjord and the peat hut, which features a fantastic view of the huge icebergs. The hike is led by local guides who are extremely familiar with the fantastic landscape that has now been added to UNESCO’s world heritage list. Experience outstanding scenery, culture and history by choosing, for example, the trip to Sermermiut and the ice fjord. The hike begins at the old heliport, continues across the hill at “Holms Bakke” and ends at the old peat hut where you can enjoy your packed lunch. En route you’ll be passing old Inuit graves and you can get an insight into how three different Inuit cultures of fishermen and hunters established the first summer settlement some 4,000 years ago. Trips take place during May–October for groups of maximum 20 people. 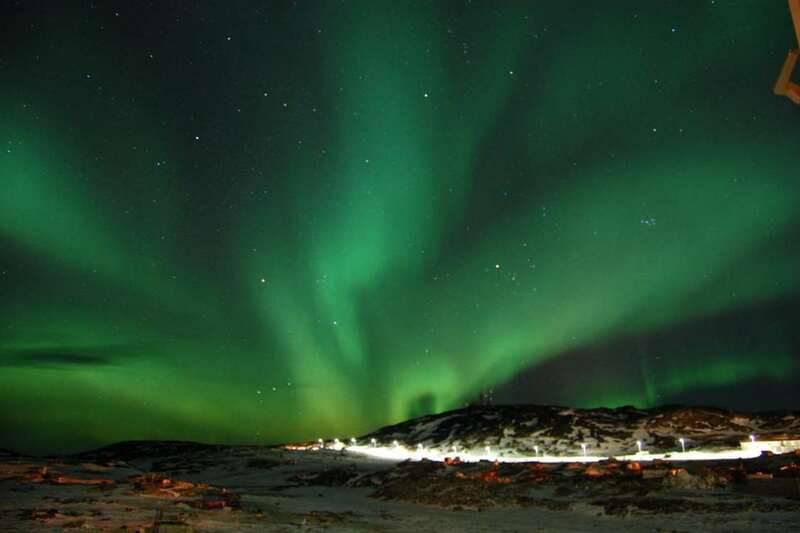 In Ilulissat there are many ways to experience the original Inuit culture. An old settlement is situated close to the town, and IceCap Tours regularly organises drum-dancing and mask-dancing. Around two times a week during the summer period Icecap Tours organises evenings of culture at Cafe Murphy’s in Ilulissat: sometimes local artists perform, whilst on other occasions old films are shown or craftsmen give talks and demonstrations of their skills. Ilulissat is a modern town, but the Inuit culture is never far away. The old myths and legends are still a source of inspiration for many young artists and musicians. Today they’re expressed in new ways. On the hike to the settlement at Sermermiut you get a good impression of how the Inuit used to live. Three different Inuit cultures of fishermen and hunters established the first summer settlement some 4,000 years ago. A guided sightseeing tour with IceCap Tours takes you through Ilulissat past the old houses at the bay near the church, the hospital, the Zionist church and Arctic explorer Knud Rasmussen’s birthplace. 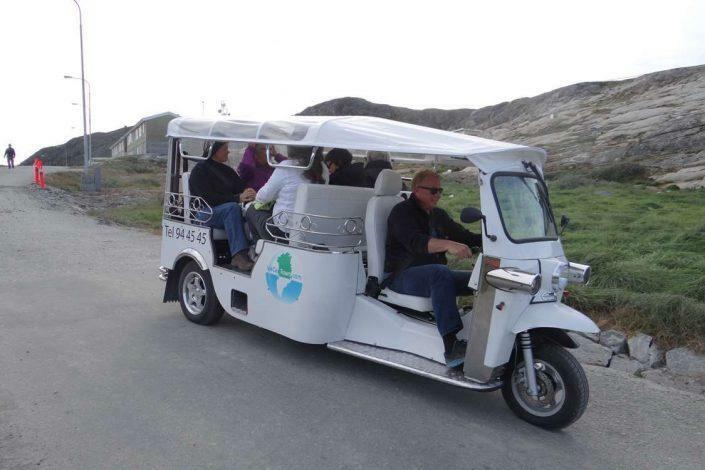 Sightseeing can also be arranged with IceCap Tours’ electric tuk-tuk on request. A guided sightseeing tour with IceCap Tours takes you through Ilulissat past the old houses at the bay near the church, the hospital, the Zionist church and Arctic explorer Knud Rasmussen’s birthplace. The tour continues along Disko Bay to the peat hut, where from the fells you get a fantastic view of the bay and the enormous icebergs at the mouth of the ice fjord. Here you can enjoy your packed lunch whilst talking to the guide, who has a wealth of legends, myths and stories about the Inuit cultures and spirits of the past, as well as a description of how Ilulissat has evolved into a modern town undergoing development and change. Tours are held during May–October for groups of max. 20 people. The local population are happy to open their home to visitors. Take advantage of the offer of an invitation to dinner or a kaffemik with tea and homemade cakes, and hear about everyday life at these northerly latitudes. Greenlanders have always had a reputation for telling good stories, and at a so-called kaffemik there’s plenty of opportunity to engage in interesting dialogue. A kaffemik is an ancient tradition in Greenland and is suitable for just about every occasion – although typically red-letter days for the family. With IceCap Tours you can get an insight into everyday life in Greenland and an impression of the characteristic hospitality of Greenlanders at first hand. 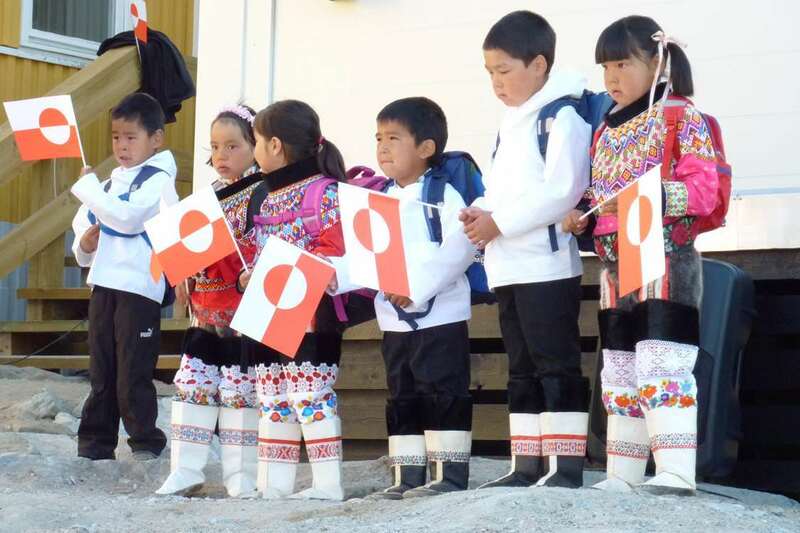 Step into a typical Greenlandic home and hear more about everyday life – which may actually not be so different to that elsewhere – in Greenland’s third biggest town, where the main occupation is fishing. Do as the Greenlanders have done for millennia and choose the nautical route. IceCap Tours organises trips at sea for spotting icebergs and whales. 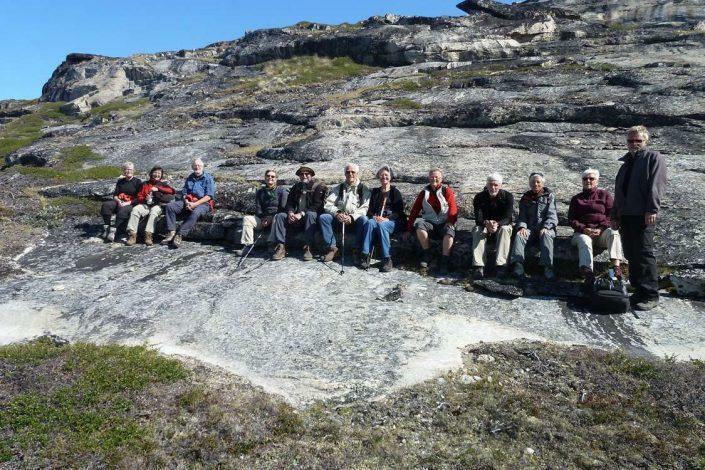 Daytrips can also be organised to Ilulissat’s settlements, the calving Eqi glacier, Disko Island and Qasigiannguit. If you wish to charter a boat by the hour or on a daily basis, this can also be arranged. IceCap Tours offers a number of different boat trips in Greenland’s waters. You can, for instance, go whale spotting on a daytrip to Aasiaat, or cross Disko Bay and sail amongst the gigantic fells en route to Qeqertarsuaq. You can also experience the magical light and tranquillity of the midnight sun, interrupted only by the creaking and rumbling of the icebergs. A daytrip to the mouth of the Icefjord takes you close to the gigantic icebergs in a variety of fantastic shapes. Enjoy the interplay of colours and dimensions in comfortable interior surroundings onboard the high-speed Targa 37 boat or out on the deck where the sun, wind and fresh air enhance the experience. Each boat has a capacity of 12 passengers. During the summer the sun doesn’t set north of the Arctic Circle. IceCap Tours organises midnight boat trips when the icebergs are bathed in a magical warm light. 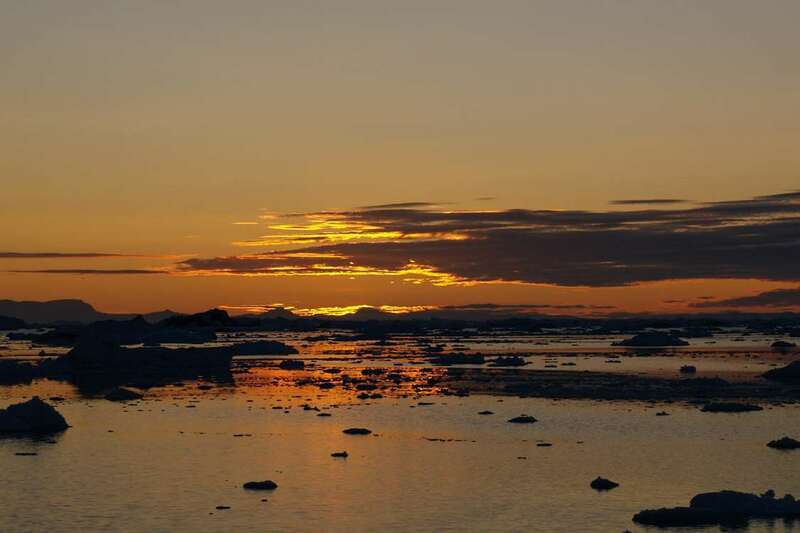 Being able to experience Greenland’s magical midnight sun is just one of the many boat trips organised by IceCap Tours. The midnight sun basically means that the sun doesn’t set north of the Arctic Circle. Instead it remains above the horizon, thus blurring the difference between night and day. In Ilulissat the midnight sun lasts between 27 May and 18 July. A trip to the Icefjord is a unique experience, as the midnight sun casts its warm light and long shadows on the giant structures of ice in complete, all-embracing silence, only sporadically interrupted by the creaking and rumbling of the icebergs. Go on a trip with IceCap Tours to the world-famous ice fjord, which in 2004 was admitted onto UNESCO’s World Heritage list. Experience the ice fjord’s unique glaciology and see the huge icebergs that have run aground on the banks of the fjord. The ice fjord and glacier near Ilulissat are world-class attractions, and for this reason the fjord was admitted onto UNESCO’s World Heritage list in 2004. With IceCap Tours you sail out to the bank of ice at the end of the fjord. The skipper navigates between the gigantic icebergs and you can experience the interplay of colours, shapes and dimensions and hear tales of how the ice has migrated from the glacier that lies more than 50 km deeper into the fjord. Icebergs and the surrounding landscape provide a magnificent location and your mind will reel at the enormous natural forces at play. The glacier is the biggest ice stream outside Antarctica and moves with great speed – up to 40 metres per day. Experience the icebergs at close quarters. IceCap Tours organises daily trips on the water or by request. IceCap Tours’ skipper knows the area and knows how close you can safely get to the gigantic icebergs. Experience their shapes, dimensions and interplay of colours and listen to the sound of them creaking and calving. Icebergs are like unique works of art, with no two ever alike. They tower up above the boat in all their magnificence; awesome and beautiful at the same time. Fortunately the skipper is very familiar with the icebergs, and the sounds from within can tell him whether to keep his distance or whether he can get up close. If you’re lucky, some whales or seals may appear. The trips are organised for a maximum of 22 people during May–October. Trips take place on the fast Targa 37, which has a capacity of 12 passengers. The Ice Sheet can be experienced on land, from the sea and by air. 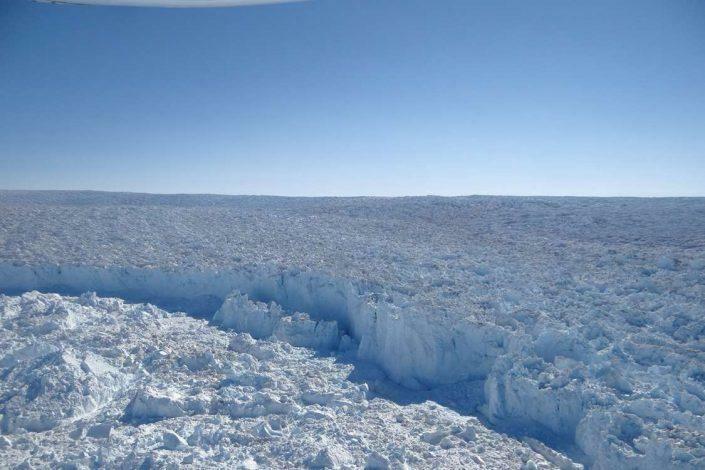 IceCap Tours organises trips to the gigantic ice cap. A trip near, on or over the Ice Sheet puts things into perspective. The ice, which covers 85% of Greenland, rises up as a huge cap of ice, and is an awesome sight. On boat trips and hikes run by IceCap Tours you get a close-up view of the gigantic sheet of ice. The Ice Sheet can also be experienced from the air by helicopter or small fixed-wing aircraft. Get close to some of the world’s biggest mammals. Between 15 and 20 species of whale live in Greenland’s waters. IceCap Tours gives you the chance to sail with the whales. Experiencing the enormous animals is a ‘must’ when in and around Ilulissat. Greenland’s waters are home to nearly 20 different species of whales, with the minke whale, fin whale, humpback whale and bowhead whale the most frequent visitors during the summer months. Their sudden appearance is a fantastic event every time. IceCap Tours’ skippers have extensive experience of reading the wind and the weather and they understand the animals’ behaviour, so you can rest assured that you’re in good hands. The trips are organised – weather permitting – between June and October. Max. 12 passengers per boat – Targa 37. On excursions with IceCap Tours there are good chances of experiencing many of Greenland’s different forms of wildlife, including birds, seals, whales, mountain hares and arctic foxes. Seals swim at all places along the coasts of Greenland, and on a boat trip you can often see them sticking their heads out of the water or following the boat for some distance. The whales are easier to see, but there are of course a variety of weather conditions that need to be taken into account. Northwest Greenland has a long and proud whaling tradition. Greenland’s waters are home to 20 different species of whale, whilst 50 species of bird breed in the fells. With guidance from IceCap Tours’ personnel you’re well on your way to experiencing Greenland’s wildlife at close quarters. Pick up good ideas and good advice from the personnel at IceCap Tours. A flight provides a great perspective. 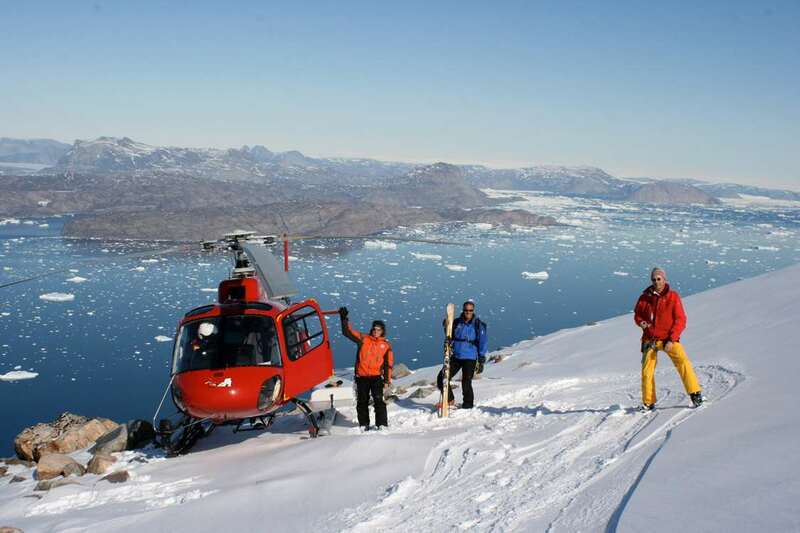 Experience Ilulissat Icefjord by helicopter or aeroplane. IceCap Tours gives you the chance to experience Greenland and the area near Ilulissat on land, on the water and in the air. Take a trip by helicopter to the productive Eqi glacier, to the ice fjord on a photo safari or out to a glacier. A twin-engine high-wing aircraft with panoramic windows will take you out over the icebergs, the coastline, the volcanic Disko Island and – not least – the enormous whales in Disko Bay that are in their element in the water below. There’s an enormous range of possibilities and there’s certain to be something that suits you. Our personnel are always available for good advice and guidance.